that has to be a huge mental drain..!! 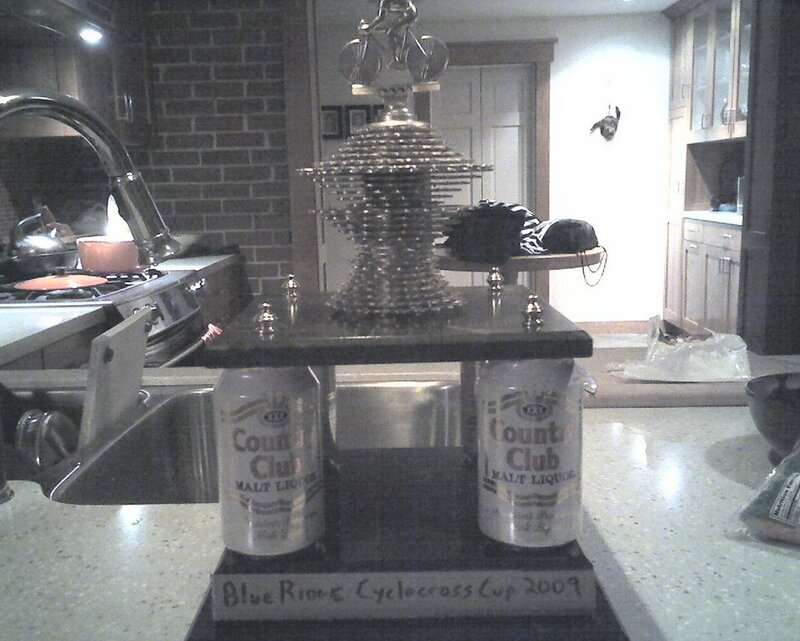 The Blue Ridge Cyclocross Cup made it back to Rocktown after a great series - nice try Queen City and Foofdevilletown, maybe next year.. Went back out and hit the tail end of the North Fork IMBA Epic loop with the JV Squad and Matt Smith - good times!! Sunday flashback from the North Fork Mountain Trail IMBA Epic - Ah! Always working at SMT.. lunch meeting with 2 of SVBC Board members today - good choice to discuss agenda items over gravel roads on skinny tires! North Fork Mountain Trail in WV is now an IMBA Epic ride - fitting, its always EPIC up on that ridge! Joel Sue, Jason, Misty and Kate - good day! The only question left to answer is.... how were both of his runs? Jake Brown came to town to talk SMT 2010 - looking forward to a great year ahead!! Bryan Moody's crew had a great ride on the James River Park Trail System - Richmond MORE has been getting it done! took the new dancing shoes out for a sweet ride - full moon - black bear - skinny tires on dirt roads!